March has been a month of brilliant music here at St Mary Magdalene Academy. We had a great start with the wonderful Teatime Series of solo performers. Next, it was the turn of our A Level Music students to impress with their remarkable recital last week. And last night, we enjoyed a fantastic Spring Concert with music from Elgar to Ariana Grande. Well done to all the performers at these events, and thank you to the students, families and friends who came to support. 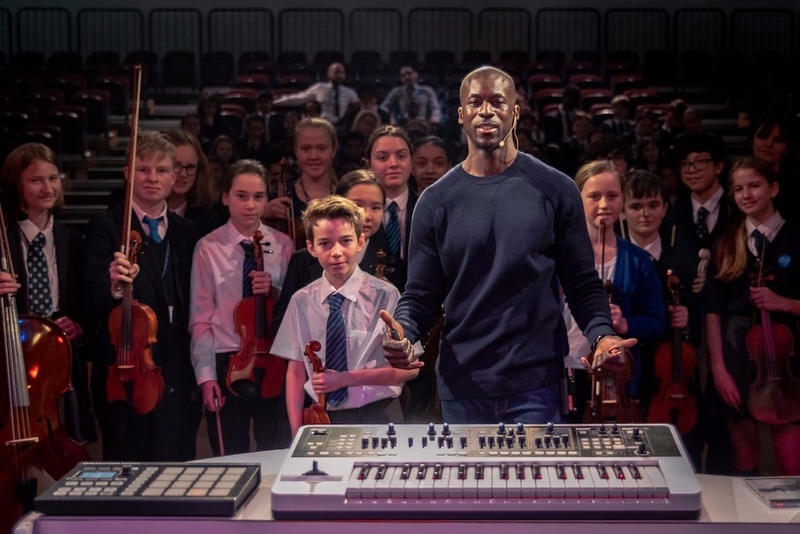 114 of our students were treated to a very special music event earlier this month too: a Masterclass with professional composer and pianist, Okiem. Students from Years 7 to 12 were rapt as they listened to Okiem tell the story of his career and play some of his 'cinematic classical' compositions on the piano. 15 of our talented musicians were thrilled to join him on stage to perform 'Purple Sky' and 'Fifty Horses' from his recent album 'XIRO'. As with all these events, we were proud to see our students play with exceptional polish and concentration.